Are you ready to be in your own salon or spa service business? Considering downsizing from your current salon business? 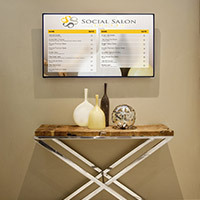 Social Salon Suites for hair, skin, nail, massage, and wellness professionals is your perfect, risk-free solution. 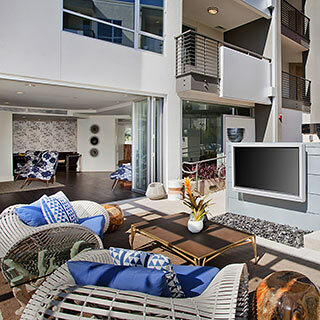 Social Salon Suites is a state-of-the-art salon suite facility located in Glendale, California, in the beautiful and upscale BRIO resort apartment homes on Colorado Street. We are a state-of-the-art, new build-out salon suite facility where you can "create your own" salon or spa service world to suit both your tastes and your budget. A welcoming and well-appointed entryway greets your guests. The Social Salon Suites' common area design is fresh, clean, and contemporary offering a fashionable and comfortable setting where your guests can relax while they wait for you. You're not alone at Social Salon Suites. 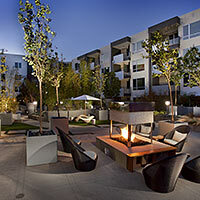 You're among experienced professionals, each in their own suite location. You get to choose who you wish to socialize with, and when. We know that your success is our success. In addition to our promotional efforts, the management of the luxurious BRIO home apartments will be constantly keeping Social Salon Suites in the forefront of their 400+ tenants' minds. Continuing education classes and other programs from manufacturers, distributors, and independent educators will be regularly scheduled. All of Social Salon Suites participants are well-established professionals, so the level of educational programs will be more advanced and hands-on.